So Marvel has their Dr. Strange. First Sherlock then Khan now Strange. 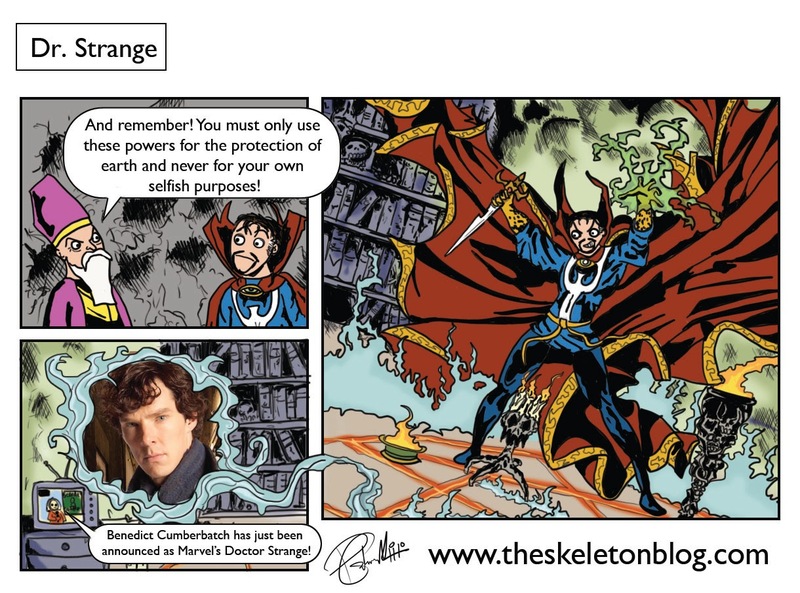 Benedict Cumberbatch is an odd name. Its like the most aristocratic of made up names. You couldn't even make it more ridiculous if you double barrelled it or even triple barrelled it. Benedict Cumberbatch-Camden-Jenkins. See? That's not even worse. It might even be better. It makes Englebert Humperdinck look like John Brown.